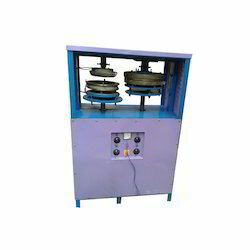 Our product range includes a wide range of paper thali making machine and automatic paper thali making machine. 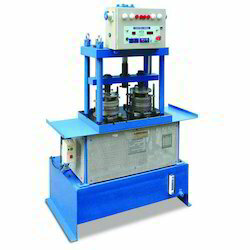 With phenomenal market understanding, we are able to introduce an extensive range of Paper Thali Making Machine. This machine can produce. It has 2 hp (single or three phases) motor. The offered machine is fitted with electronic panel and sensors. Moreover, the provided machine requires less installation space and offer low power consumption. Backed by our years of industry experience, we are betrothed in presenting an excellent quality of Automatic Paper Thali Making Machine. This machine is used for manufacturing paper thalies. The capacity of the machine. The fast speed of accurate manufacturing is incredible. The machine is available in fully automatic versions. Clients can choose the best suitable option meeting their business needs.